What is the King James Only Movement? Do they claim all other Bible versions are inferior? 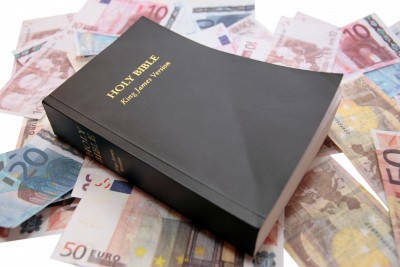 The King James Version is one of the most widely read and beloved translations of any on earth, however it is losing some of its popularity today because of the many updates of the various translations, however the King James Version continues to be read, preached out of, and quoted, more than any other Bible version there is, but things are changing. More manuscripts are available today than ever before, and we’ve discovered that there are errors in some translations, including the King James Version. Even though the Word of God remains unchanged, more manuscripts have been discovered, and in some cases, better manuscripts, and we have more accurate translations today than before. These manuscripts help scholars see where verses may have been omitted, inserted, or replaced by another word, so there are better versions of the Bible today than we’ve ever had, but with that, we have more translations than ever. Each one has its strengths and weaknesses, but when we find errors in certain Bible translations, we are obliged to expose them. The King James Version, the NASB, or the ESV is not sacred. They are only different translations. 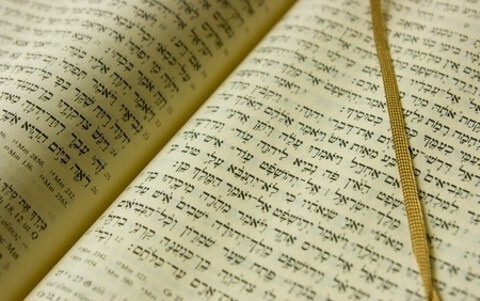 The Word itself is God’s breath, so His Word is perfect, but there is no perfect translation out there. Even with minor errors, these errors never compromise the gospel that Jesus Christ brought. Some translations however are clearly heretical and should be avoided at all costs. One example is the New World Translation of the Holy Scriptures, which is a Bible, unique to Jehovah Witnesses. The problem is it is full of heretical errors, so it should be avoided completely (just as this cult should be avoided). These Bibles we know are corrupt, but the King James Version is not corrupt, even though like the other versions, it’s not perfect. I love my King James Bible. It has scriptural references for just about every Bible verse. For example, where Paul says the just shall live by faith (Rom 1:17), there is a citation for Habakkuk 2:4 which says “the righteous shall live by his faith.” Also, my King James Bible has certain words in italics, meaning that these words were not in the original manuscripts. I like that, but it can also be a little misleading. For example, Psalm 14:1 says, “The fool hath said in his heart, There is no God” (Psalm 14:1, KJV), but the word “There is” is not in the manuscripts, so it should really read, “The fool has said in his heart, No God.” That’s like someone rejecting God by telling Him, “No!” The Bible teaches that everyone knows that God exists, but they simply suppress it, so they have no excuses (Rom 1:18-23). This difference doesn’t impact the message of the gospel, but it does tell us a little bit more about those who openly reject God but know He exists. That’s why I like the King James Version. The publisher wanted the readers to know which words were in the original manuscripts and which words were not. Even so, it’s a bit awkward to preach out of it since many of the Old English words used in this Bible are outdated and may not mean the same thing as we think. One example is Galatians 5:21 which mentions “seditions, heresies” in the King James Version but is “dissensions, divisions” in the ESV. We may know what it means to dissent, but we may not know what seditions are. One of the most widely used but most widely criticized is the NIV, but not all of that criticism is fair. The NIV does what a lot of Bible versions do. They omit what is not found in most or the better manuscripts, and they don’t insert what is not in the original. Although they do use more modern language, I have not seen this affect the gospel of Jesus Christ. Many behind the pulpit use the ESV today because of its easy flow, its accurate translations, and its use of better manuscripts, but the NASB does an even better job than most translations. One example is the word that the King James Version and the ESV use for “slave.” It’s not translated correctly. In most translations, the Greek word “doulos” (means, “slave”) is translated into the word “servant” when it should be “slave,” so clearly the King James and ESV (and most others) are wrong on this word, and this does matter some because a servant can quit, get fired, and go home after work, but a slave is bought and owned. The slave does whatsoever the master of the house says, but at the same time, in the Roman Empire, slaves were often beloved and are even considered as part of the family. We see this with a Roman centurion who came to Jesus for help in healing a slave of his (Matt 8:5-13). A slave would be housed, fed, cared for, and have a place to live, but servants could be fired and may have a hard time finding a job. Even though it sounds harsh, slaves had better security than servants did, but the point is, the King James Version is far from perfect, but so are the others. Better manuscripts have brought us better translations of the Bible. The King James Only Movement is not huge, but it is problematic because it states that the King James Version of the Bible is superior to all other translations available. To them, it’s not only the greatest translation ever, it is the only translation we will ever need, so using other translations is wrong. On this same point, there are Red Letter Christians who believe and teach that we should only read Jesus’ words and nothing else, but this is troubling because the Apostle Paul was taught directly by Jesus Christ by a revelation, and the disciples were ordered to “Go therefore and make disciples of all nations, baptizing them in the name of the Father and of the Son and of the Holy Spirit, teaching them to observe all that I have commanded you” (Matt 28:19-20). These teachings weren’t only oral, but in written form, and they include the gospels and the letters of the apostles (Peter, John, etc.). To ignore these letters is to miss the whole counsel of the whole Word of God. The same thing applies to King James Only people. They are judging all other versions as inferior, when they in fact, they are not, because in many cases, they are more accurate translations out there. The King James Version is beautiful and still useful, but to be a King James Bible Only person carries this too far, and just about as far as the Red Letter Christians get carried away. I hope you don’t misunderstand me. I love the King James Version. I still and always will use it. I still preach out of it at times, but when I do, I tell the congregants when there is a better word for the one used in the King James Version. I like to use the King James, the ESV, and the NASB most of all. Speaking for myself, I think the NASB rates at the top for me. I love its clarity, flow of language, and accurate translations. Even so, when I hear the King James Version preached…I’ve got my listening ears on, for it too is the Word of God. 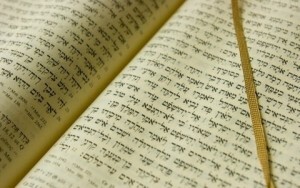 Here is some related reading for you: How Do We Know the Bible is True? Is it Really the Word of God? Previous post: Is Paradise And Heaven The Same Thing? Next post: What Is Christian Mysticism?